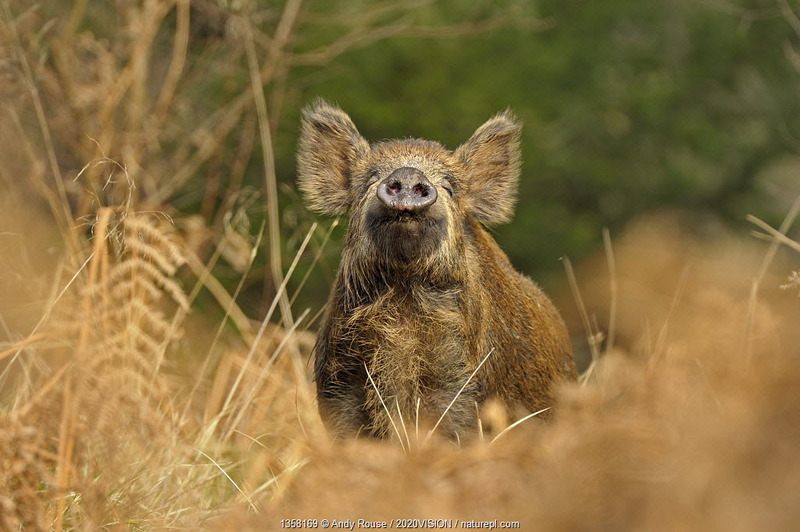 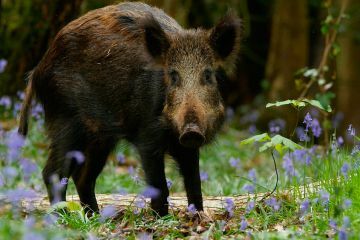 Juvenile male Wild boar (Sus scrofa) fighting to establish seniority, Gloucestershire, England, UK, December. By Dave Bevan. 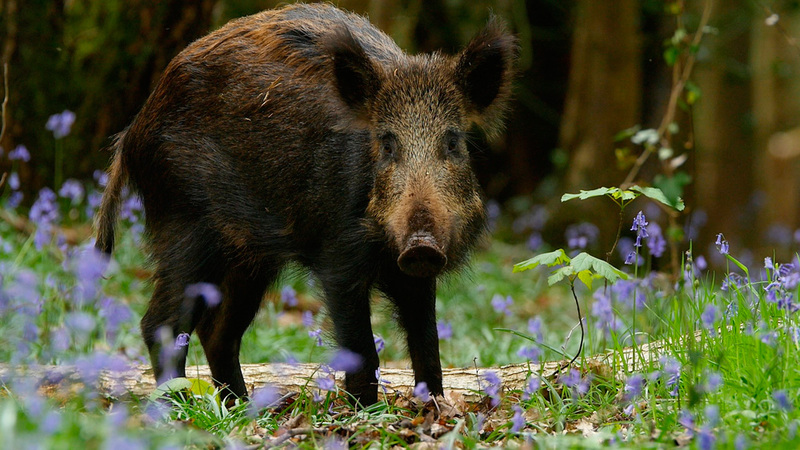 We have some great coverage, both stills and video, on wild boar in the UK, where a wild population has now been established in several regions following animals escaping from farmed enclosures. 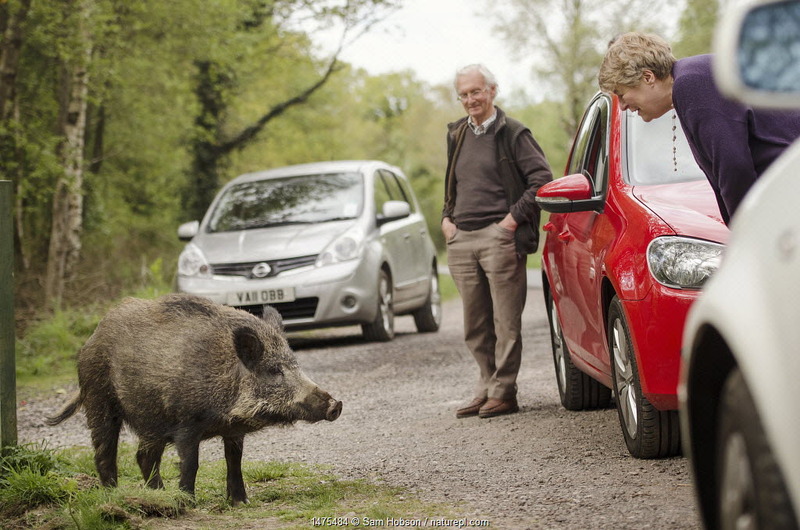 View our gallery of stills and video clips, which includes foraging and feeding, suckling young, piglets playing and encounters with humans.